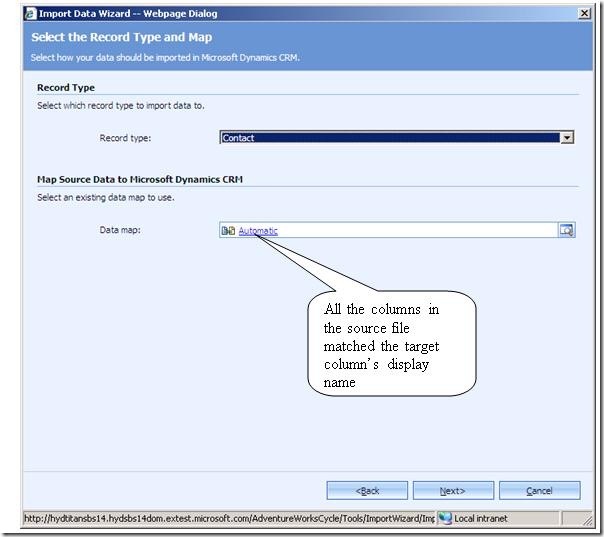 In Microsoft CRM 4.0, the Import Map Editor doesn’t create lookup mapping by default. You may notice this when trying to import the data with lookup type columns. For example, see the import file with columns as indicated below. You may want to import this for Contact entity with the help of a user-defined map. 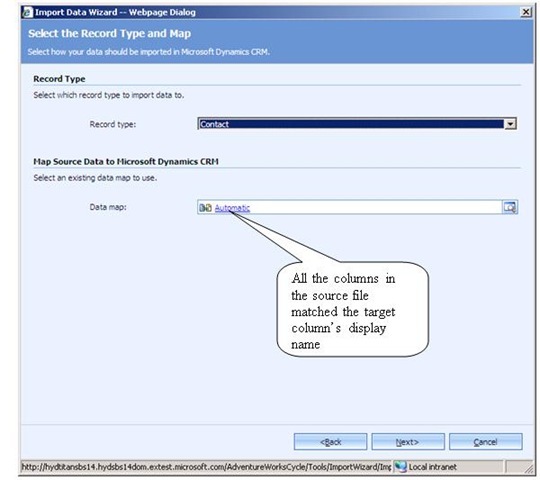 In the CRM 4.0 Import Map Editor there is no support for defining lookup mapping for reference type of fields. So you can’t define mapping for ‘ParentCustomer’ column as this is a reference type. Note: In the above example we have inserted space in between the column names. Now the column names are displaying the names of the contact’s attributes in CRM. When using this modified CSV file with Import Wizard, it automatically detects the mapping to be used, and as a result, the import is successful. Below we can see the automatic mapping appearing in import wizard.